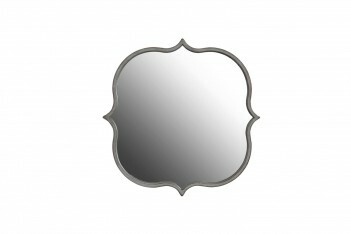 Interesting shaped grey painted metal mirror. Very popular these and nice displayed in pairs or in a group. Indoor use only. Comes with a hanger on the back. 46x46cm and 4cm deep from the wall.